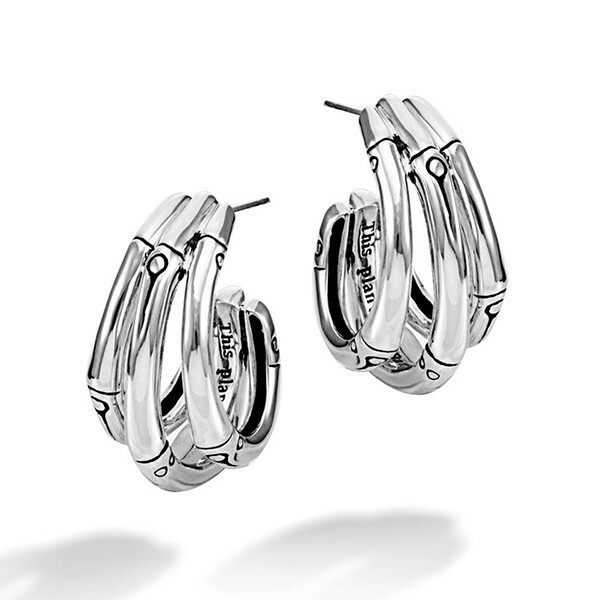 The classic look of the hoop earring gets a fun twist with these J-hoop earrings from John Hardy. From the popular Bamboo collection, lush sterling silver is crafted into not one but three small j-hoops to produce one stellar earring with a bamboo motif, and the post backings will keep these petite treasures in your earlobes comfortably and securely. 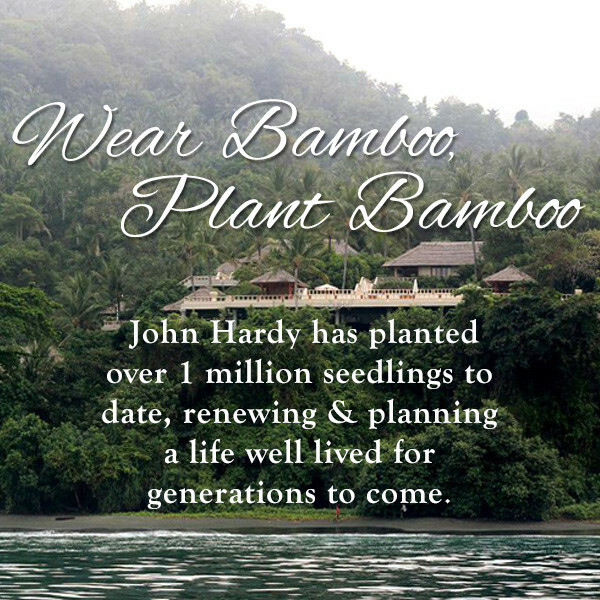 These John Hardy J-hoops are destined to become your most versatile set!